Well surprisingly I have something to report. Been in France for a little over five days now, and with only training and a limited amount of work at present a lot of time has had to be devoted to video games and books. As far as reading goes it has been "May on Motors" by the bloke off Top Gear. As for gaming, well lets say that in an extreme sports operation, strategy games are limited to football and golf. Never the less, before leaving Blighty we packed up the Gameboy Advance (previously used solely for Tetris, in something not entirely dissimilar to colour). I must admit there has been rather a lot of it in the last couple of days. Basically, what you have here is a wargame, with limited role-playing aspects. 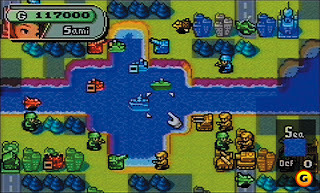 The game mainly operates in a map mode, with cute little vehicles moving around a cute little region. All this is managed with only four buttons and the minimum of menus. When forces are engaged there is a pretty little cut scene to show the actual fight, though by that stage the result is already largely determined and you can't then influence it any further. 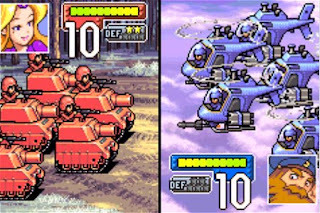 There is a campaign mode that slowly is introducing new features to the battles, and there seems to be any number of scenario building and training modes. Ok. It's not rocket science, but it is easy to pick up, highly portable; and a lot of fun. 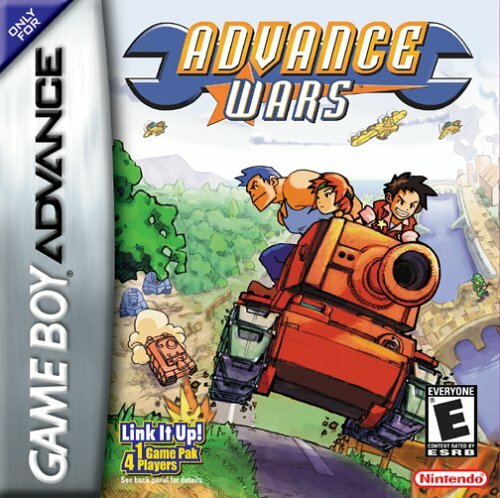 If you or (more likely) your kids have a Gameboy Advance knocking around, and you have time in the commute to kill or similar, you could do worse than using a copy of this to entertain you. It's certainly filling in my gaming buzz, until I get my painting space back again.